Hello 40's my old friend. Are you ready to go olde school? It has been five months (Yes, five months! Where has the time gone?) since our last installment of the Forty Of The Week, but it has finally returned! 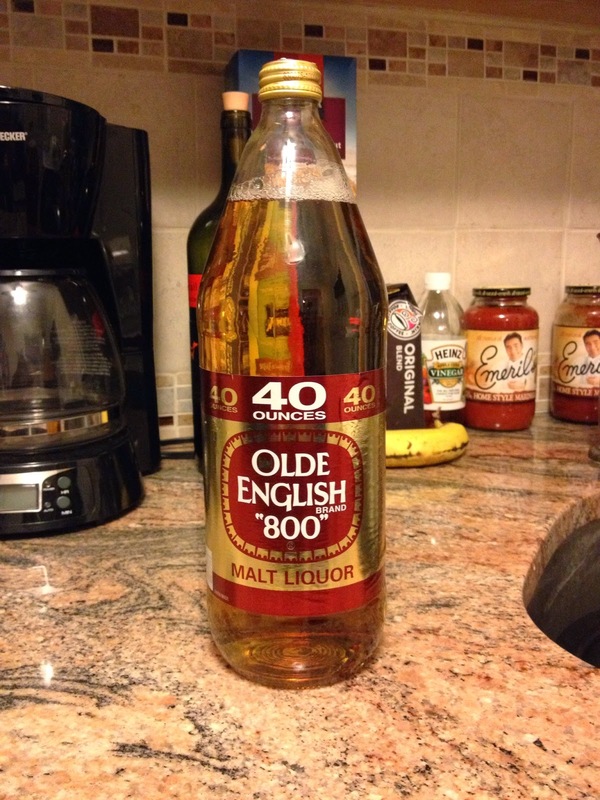 In the past we have included such classics as Steel Reserve, Colt 45, King Cobra, and now we induct Olde English 800 as the BWB Forty Of The Week! The final glass OE 40 ounce. 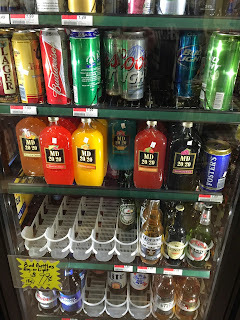 Olde English has been around since 1964 in some form or another, but it wasn't until the late 1980's that it's popularity skyrocketed with the introduction of the 40 ounce bottle. Now I was only a little Bum Wine Bob at that time, so I cannot tell you what it was like being out there and seeing those bottles first hand. I can only imagine it was a glorious sight! In the early 1990's Olde English won multiple gold medals in the American Malt Liquor category at the Great American Beer Festival. Big decisons to be made. In most cases you see Olde English coming in at 5.9% ABV (depending on your location it could be higher or lower), so it doesn't pack as hard of a punch compared to some of the other brands of malt liquor out on the market today. I personally don't find the taste to be as bad as some people say. Sure, it's not something I like to drink on a daily basis, but when it comes time to party and have a good time, it gets the job done. 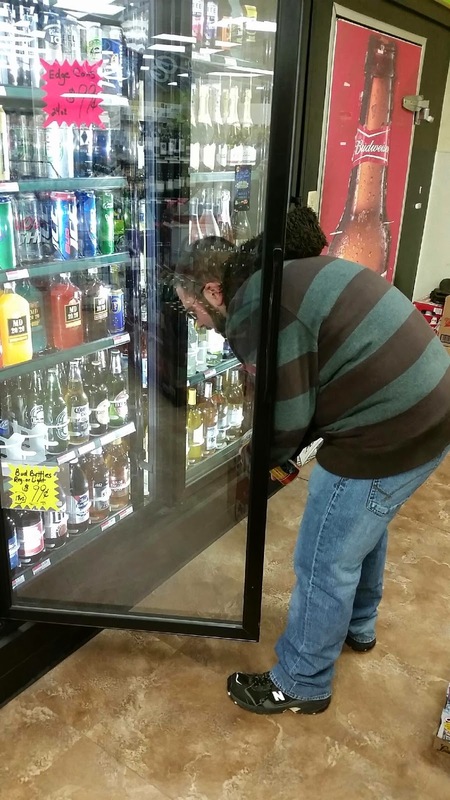 Look at it this way: you are drinking a 40 of malt liquor. What do you expect? Something high class? I don't think so. At least it's shatter proof. 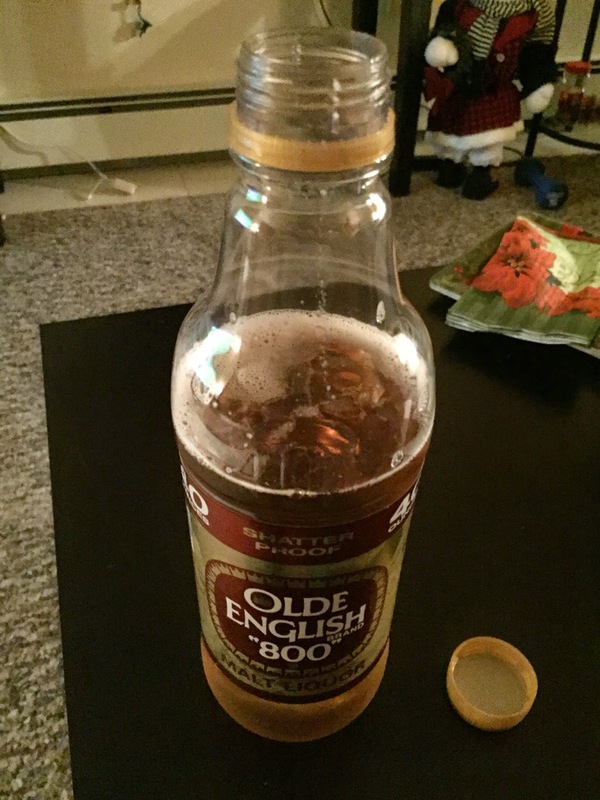 As with many other 40 ounce bottles these days, Olde English 800 has made the change from glass to plastic. I know this is seen as a travesty to many 40 ounce malt liquor enthusiasts, but as I have said in the past I can see why this has been done. No one wants to spend their last $2.49 on a glass 40oz bottle only to drop it and see it shatter on the ground right in front of you. These are the type of things I see in my nightmares. I do not want to experience that in real life. 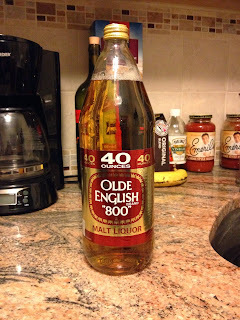 Olde English 800 is still one of the old school and classic 40's after all these years. While it might have been labeled "The Worst Beer in the World" by RateBeer.com in 2010, I still think there are many other options out on the market today that could totally take that title away from OE. Be sure to tune in LIVE Sunday, 9/20 at 11AM ET for the BWB Podcast! We are saying goodbye to the summer of 2015 in style! We will be running down the BWB Pick Em Standings, talking some Olde English, a WWE Night Of Champions preview, recapping the top hits of summer, and MORE! Grab a 40 of OE and join us for the party! Cheers! Due to popular demand, Olde English 800 is staying on as the BWB Forty Of The Week for the duration of September! Go Green With BWB this Sunday, 9/27 at 11AM ET on the Bumming With Bobcast Podcast! Ron from Corner Pub Sports will be joining the show to talk some NFL action plus much MORE! Grab a 40 and join the party!